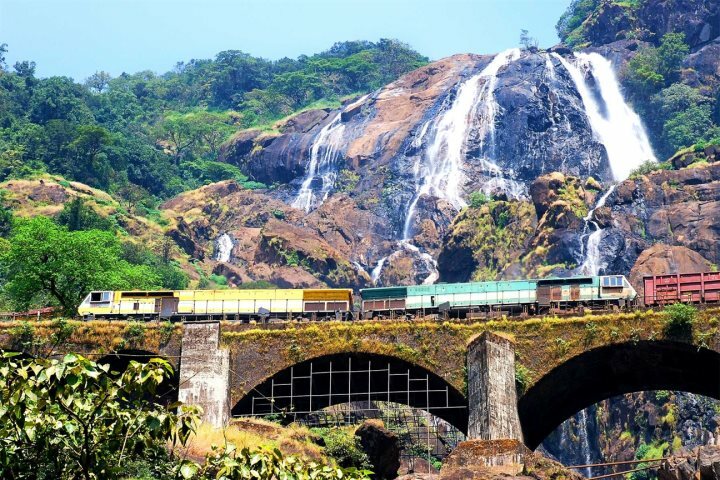 The Dudhsagar Falls – a four tier waterfall which flows beneath a train line on a 603 metre journey surging down the mountainside. The rocks around the pool’s edge are slippery. I sit down, slide into the cool water and swim over to the waterfall. At the height of its rage, the torrent races down the mountainside in an overpowering deluge. 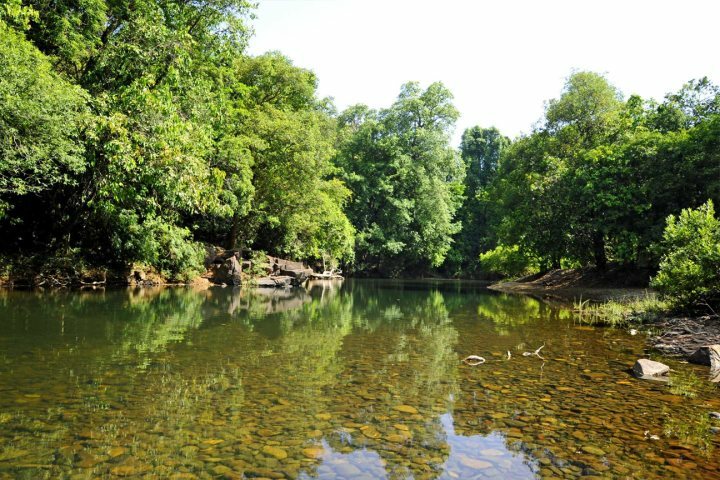 Despite it now being the end of Goa’s dry season when the water is much reduced, it is still an impressive sight tumbling towards me and the pool I’m now swimming in. 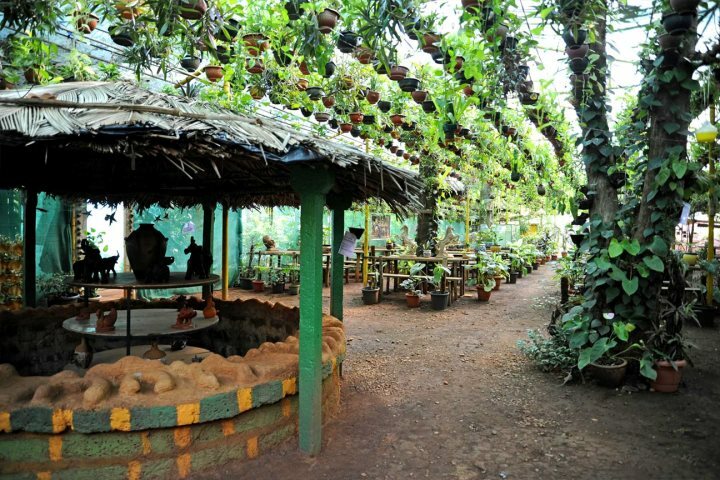 Earlier that morning our driver, Arun, picks us up in South Goa and we head inland to Mollem, near the border with Karnataka, stopping off briefly at the Jungle Cafe (pictured above). 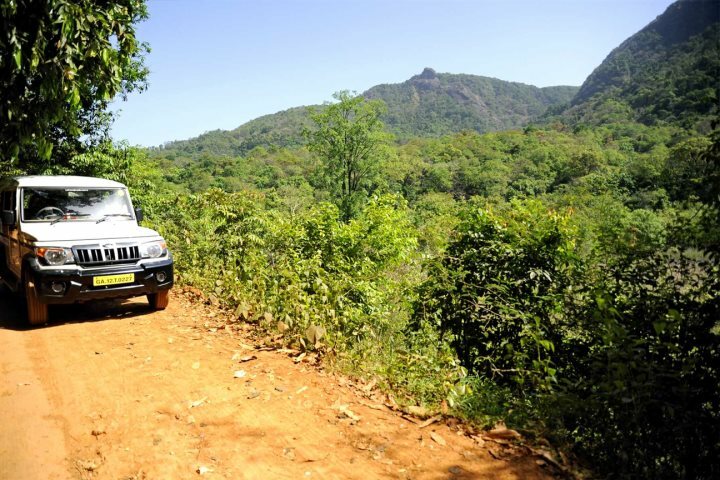 The streets are hectic compared to the laid-back Goa in the south. Ladies are selling nuts to feed the monkeys and I’m sad to see elephant rides are being advertised. 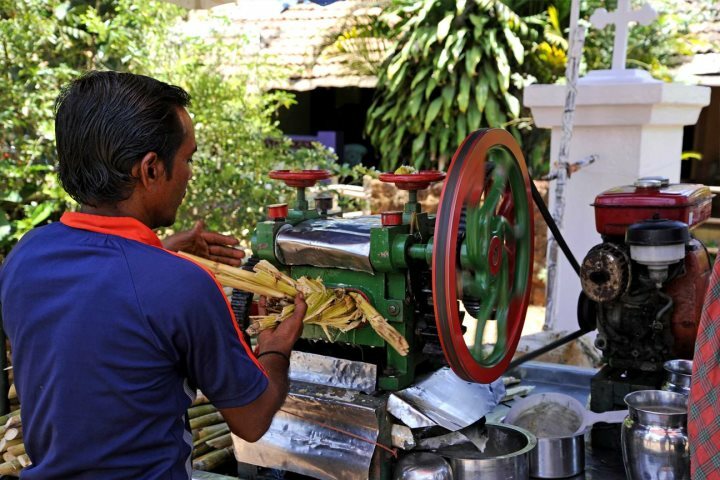 While I won’t be feeding monkeys or riding elephants – both big 'no goes' when it comes to responsible tourism – I’m more than happy to buy a glass of freshly squeezed sugar cane from a roadside stall. It looks a little odd but tastes just fine. 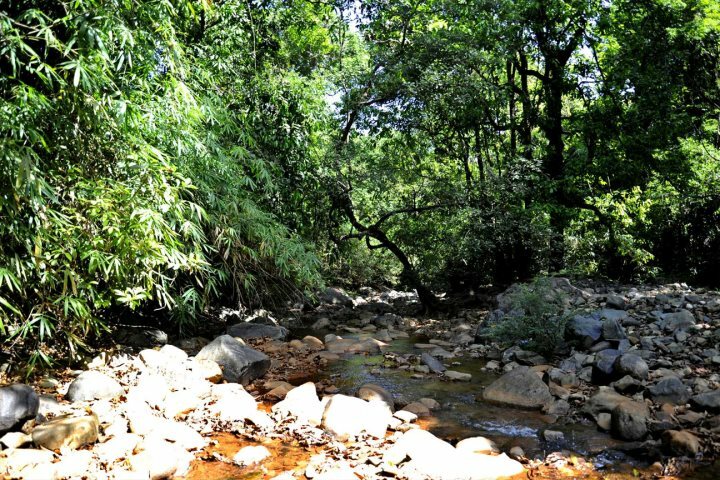 The entrance to the reserve is not far and, having changed cars and drivers, we make our way through the jungle along a bumpy, dusty track, fording rivers that are impassable when the rains come and snatching glimpses through the trees of the lush green scenery of the largest nature reserve in Goa. Parking up we walk the rest of the way through the jungle, passing streams and dense foliage. We are in the part of the reserve that is the Mollem National Park, reputedly home to giant squirrels, bison, leopards, deer, pythons and cobras, but the only wildlife we spot are the monkeys (Indian macaques) which are so used to being fed by the tourists that they are quite habituated to humans. 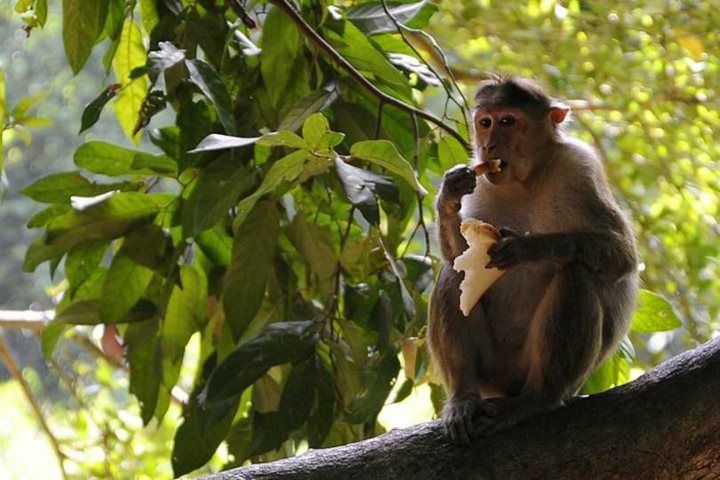 Personally, I would much prefer wildlife to remain just that but my guide has come prepared and, despite my protestations, eagerly hands out slices of white bread to every greedy little hand we pass. Not the healthiest of meals a monkey could have and feeding them like this can cause malnutrition, especially for expectant mothers. 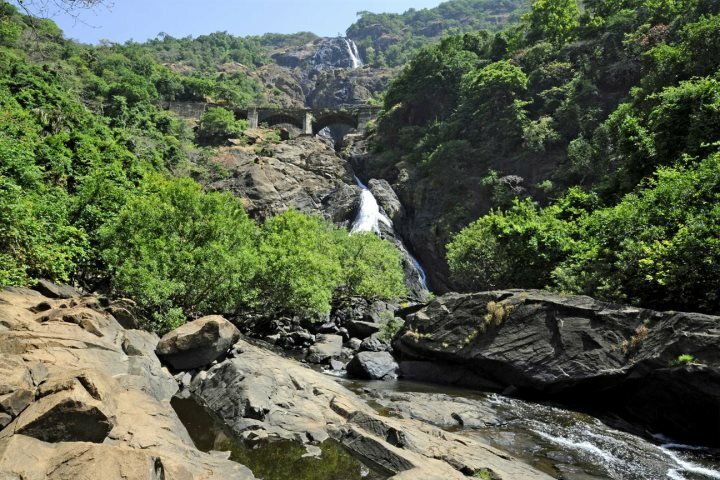 Climbing over some rocks we catch our first sight of the Dudhsagar waterfalls. 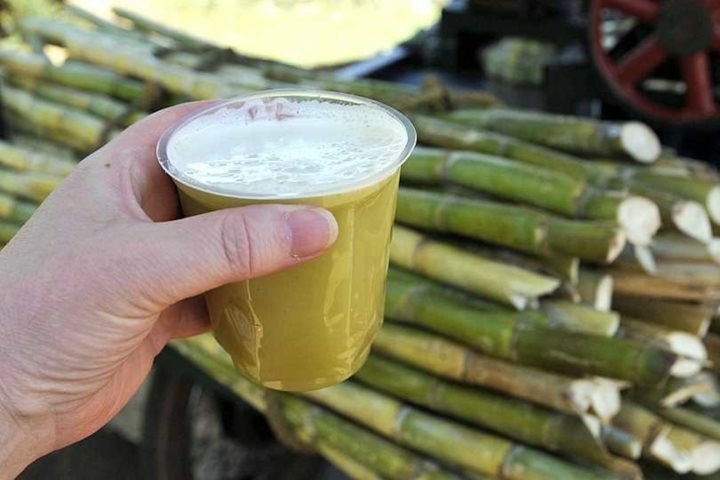 Literally the name translates from the local language of Konkani as ‘ocean of milk’. Legend tells us of a beautiful princess who used to bathe in a lake here, after which she would refresh herself with a jug of sweetened milk. One day, realising that she was being watched by a handsome stranger, she poured the milk in front of her to form a curtain to protect her modesty while her maids rushed to fetch her clothing. The milk has flowed down the hillside ever since. 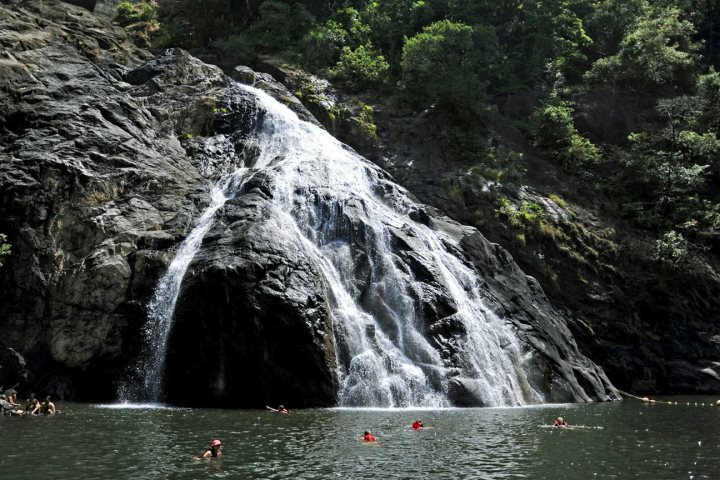 The falls are at their driest, it being just before the rainy season, yet the rocks around the pool are thronged with people. The swim is never-the-less a joy and all too soon our guide is beckoning us to return and we make our way back to the now busy car park. It's certainly worth getting here early in the day. 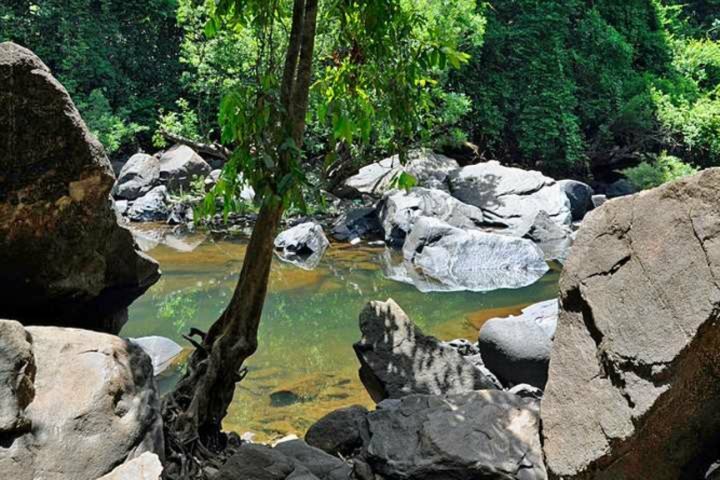 It is a trip well worth making, from the bumpy ride through the jungle, followed by the short but beautiful hike and the falls themselves which, even at this time of year, are lovely to see.